Halloween is coming and Moms are already in panic to look for a Halloween costume for the kids. What's the best Halloween costume for a girl that's so cute we don't want her to turn into a monster or a witch during Halloween? The Little Devil of course! Elitedresses.com have this affordable, cute and stylish red tulle flower girl dress that you can use as a Little Devil Costume. Just pair it with a sequined devil's fork and horn and match it with a perfect sequined flats. 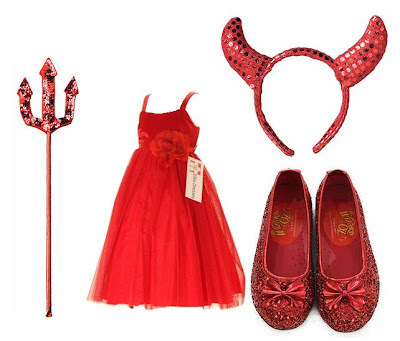 Your little princess will be running around for treats looking like an adorable Little Devil.